Summertime entertaining is easy with this make-ahead, all-in-one dish that is perfect for lunch or a light dinner. Be sure to serve in shallow bowls or a rimmed dinner plate to contain the flavorful juices. Canola oil provides healthy monounsaturated and plant-based omega-3 fats. 1. In a large saucepan, bring water to a boil over high heat. Add potatoes and shrimp, return to a full boil and cook 4 minutes or until potatoes are just tender. Drain in colander and run under cold water to cool quickly and stop cooking process. Drain well. 2. 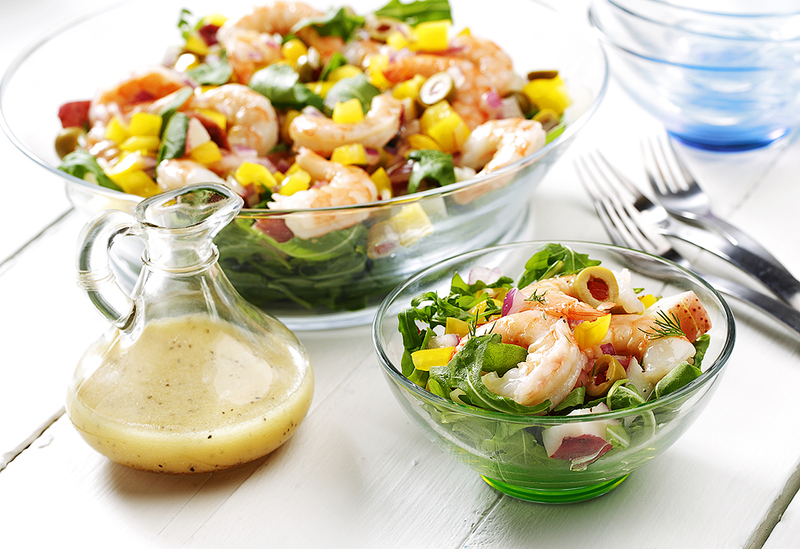 Arrange the shrimp mixture in the bottom of a 13 x 9 inch (33 x 23 cm) glass baking dish. Top with the bell pepper, onion, and olives. 3. In a jar, combine canola oil, vinegar, mustard, salt and pepper. Secure with lid and shake vigorously until well blended. Drizzle the vinegar mixture evenly over all. Sprinkle with the dill. Cover and refrigerate 2 hours to allow flavors to absorb. 4. 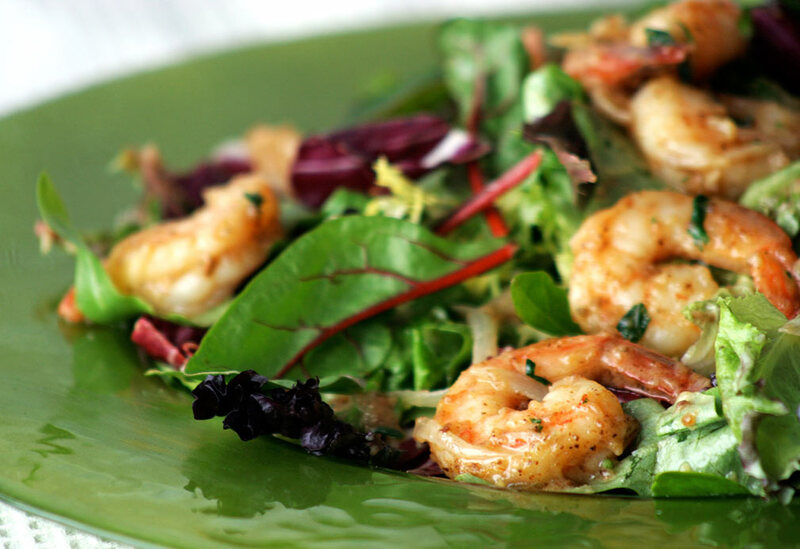 Divide arugula into 4 shallow bowls, spoon shrimp mixture evenly over each serving. 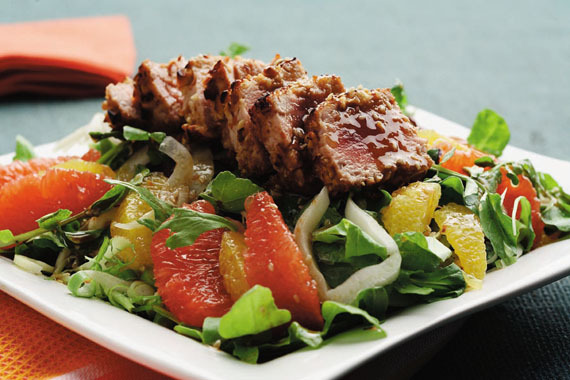 This tasty, fresh salad makes a great lunch or light meal. 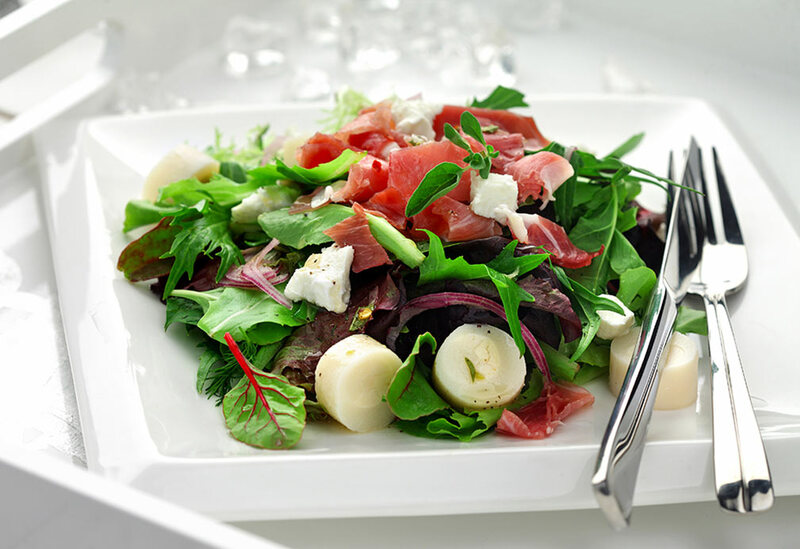 This classy salad makes a perfect starter for a dinner party. 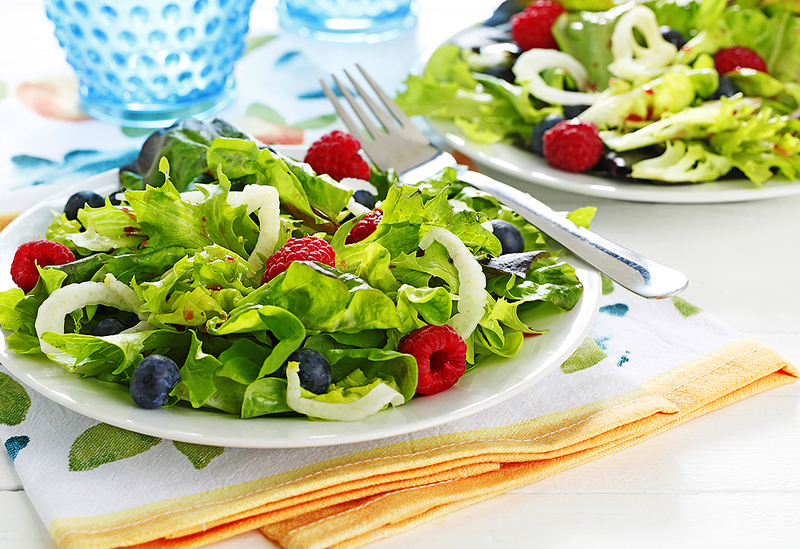 Keep the champagne vinaigrette recipe with canola oil on hand for other salads in your recipe collection.